Here is a confession - I have never repurchased the same colored makeup product twice - lipsticks, eyeliners (other than black one), eyeshadow. There is always so many to try in the market that I end up with something new. But, when my Colorbar Jaded got over, I had to re-purchase it. Formula & Stay - I love the formula, color and stay of Colorbar I-Glide. They are very smooth and stays for a long time. They have wide range for colors with different finishes which suits Indian skin-tone. 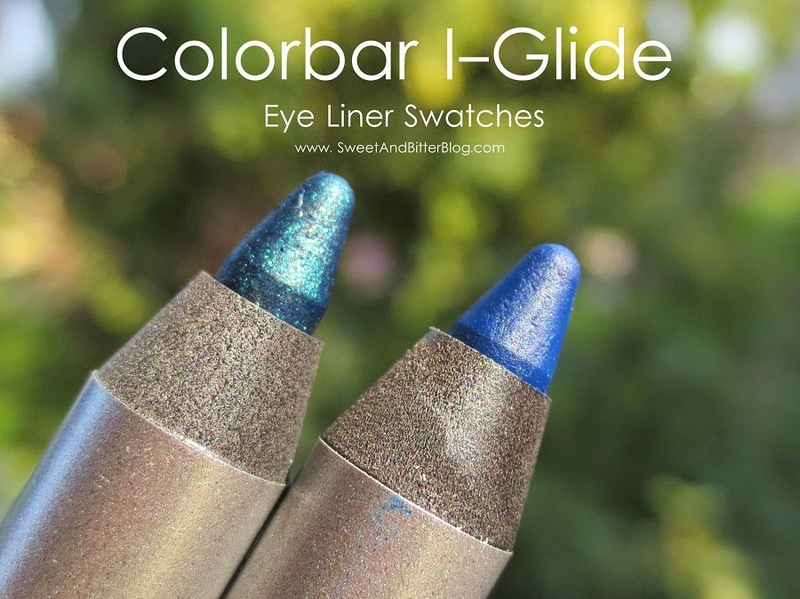 Every girl who have used Colorbar I-Glide at least once have raved about them. Price - At Rs 499 they are not the cheapest one in the market but because they are highly pigmented, just one swipe is all you need and hence, they lasts long. Also, each pencil is 1.1 gram whereas the Maybelline Colossal eyeliners are 0.35 g (for Rs 249). For price vs quantity, Colorbar I-Glide is cheap. So, did I re-purchased Jaded? NO! I will...later. For now, I picked 2 other colors - Electra and Emerald Charm. I have been looking for something similar for long and I never saw them before at the store. Just to make sure that no one misses any color, I swatched the 10 colored eye liners for you (skipped black and brown). I hope this helps you for your online shopping as well in case you do not have Colorbar store nearby. If you like brighter/pearl finish/metallic/shimmery smooth eyeliners, then you must check it out. Few days back while talking to a reader I realized this - there aren't many budget natural products that I have tried. I have used Khadi but they are tough to source. So, when people ask me for a budget solution to skincare, I end up with nothing much. Hence, I decided to try budget brands which are easily available. I identified 3 such brands which I will explore in coming months. The first one being Himalaya Herbals. Himalaya Herbals is easily available not only in India but also has its presence in around 180 countries! Did you know that? I got to know that Himalaya Herbals is also available in Russia when they reposted my photo on their Instagram! Everyone Indian women who have ever purchased a lipstick has definitely purchased Lakme Enrich Lipstick at least once in her lifetime. Everyone knows about it. It is simply because Lakme was once the only brand which catered makeup within the budget of most people. Even today, you might discover at least one somewhere in your home (if you have lived in the same house for long and there are ladies interested to buy lipstick!). 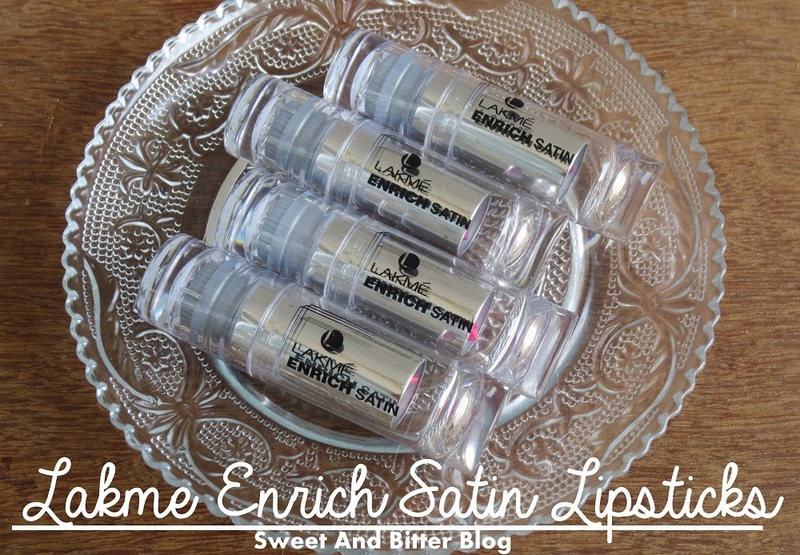 I think when I just started working, I purchased one Enrich lipstick (my only one) but never quite used it. I loved the color but I never liked this. Reason - purple plastic case. I hated it. It looked old and stuffy. 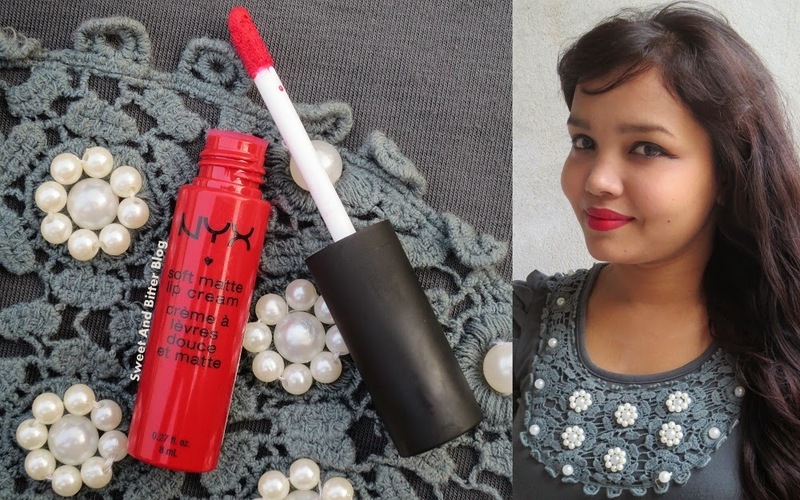 I hated reapplying it in my office in front of my colleagues who used lipsticks with shinier and better lipstick tubes. I cannot be the only one who hated them? Fortunately, someone in Lakme gave a thought about it and launched these Lakme Enrich Satin lipsticks in a completely new packing. In stead of the stuffy plastic tube, this comes with a beautiful transparent body. Each lipstick comes with a silver carton box with all details. Good that they didn't copied the Streetwear's toony designs because Lakme caters to all age groups. Formula - One stroke moisturizing colors which turns semi-matte on lips. Price - Rs 260 for 4.3 g.
Shades - It is not old wine in a new bottle concept. The shade range of Lakme Enrich Satin Lipsticks is amazing. There are shades from dark purple to shimmery peach to bright blue pink which we thought was only possible in MAC. BTW no reds. 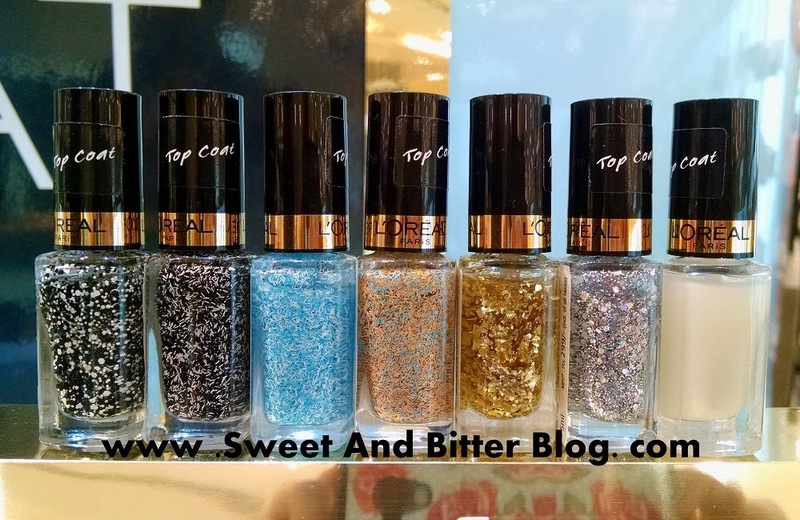 Introducing - More top coats!!! Someone might be saying - "Ohh...stop this girl! These are just polishes with things in them." But, I cannot! My birthday month has seriously got special! 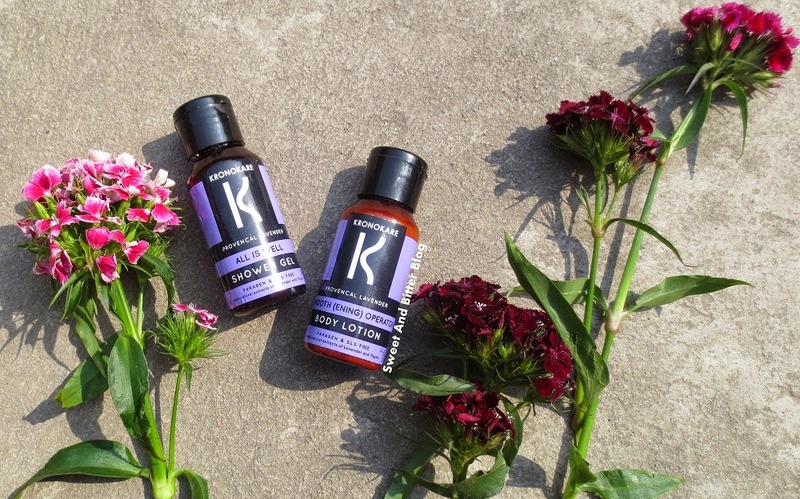 They sure know how to give nice names to bath and body products. Call it confetti, polka dots, I am delighted to tell you that finally;.....FINALLY....a brand has launched them in India. PARTY!!! It is my pleasure to introduce you to a new brand - Lilac Soaps. It is a company based out of Pune. The soaps made by Lilac Soaps are 100% handmade, biodegradable, palm oil free, vegan and not tested on animals. 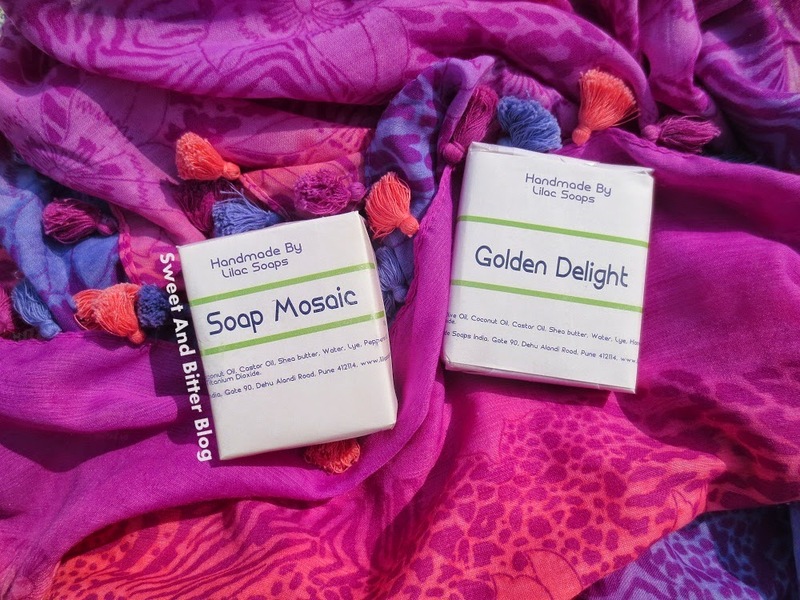 And unlike most other handmade soaps, it is within budget - think price of Khadi soaps!! I tried two soaps - Soap Mosaic and Golden Delight. 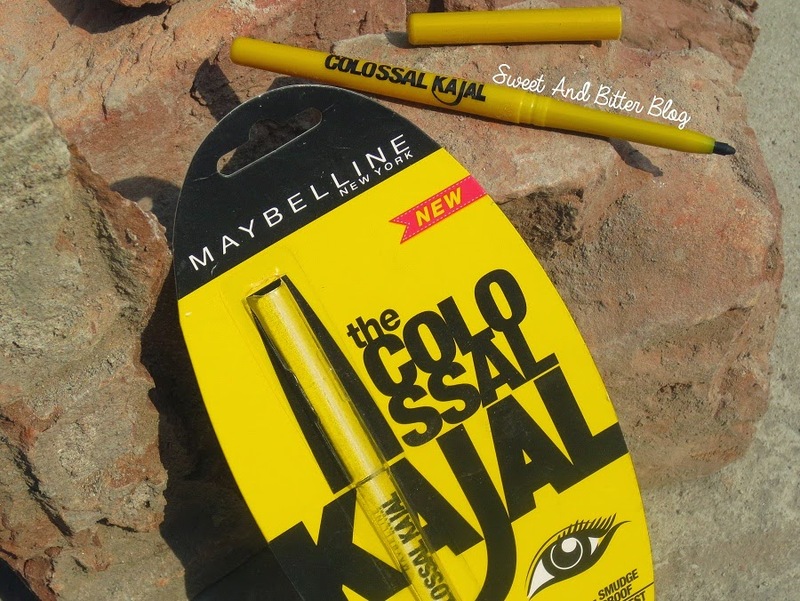 Last year, Maybelline extended its Colossal Kohl range by adding turquoise to the range. Recently, they added 3 more shades to the same - Jewelled Jade, Crushed Emerald, Smoked Silver. I had no idea about these and found them at Shoppers Stop today. I swatched them all three here (along with turquoise to compare) and got just one. 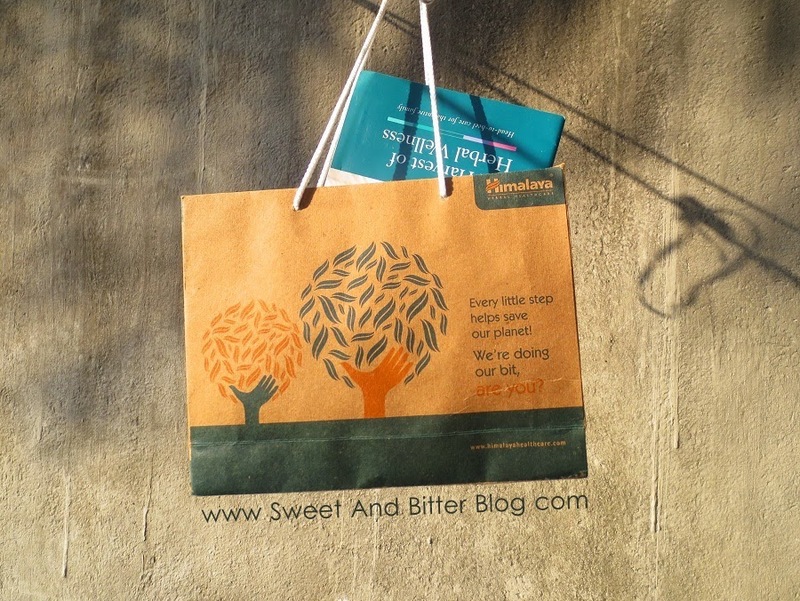 I am really happy with the results I got from Kama Kumkumadi Thailam. So, anything which bears similar name excites me equally. I picked it up in December '14 when they were running some offers at store. (I got freebies and samples. See the haul here). 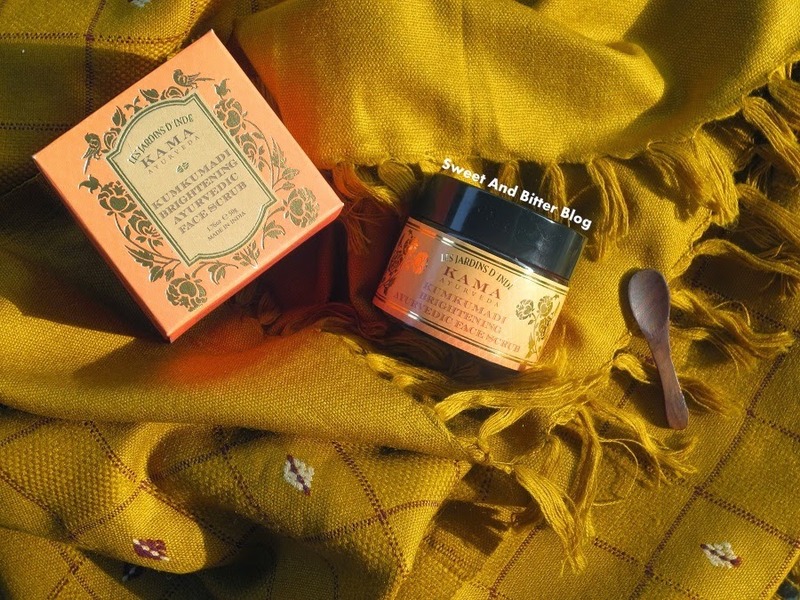 Of all the things that I picked, here is the review of Kama Ayurveda Kumkumadi Brightening Ayurvedic Face Scrub. 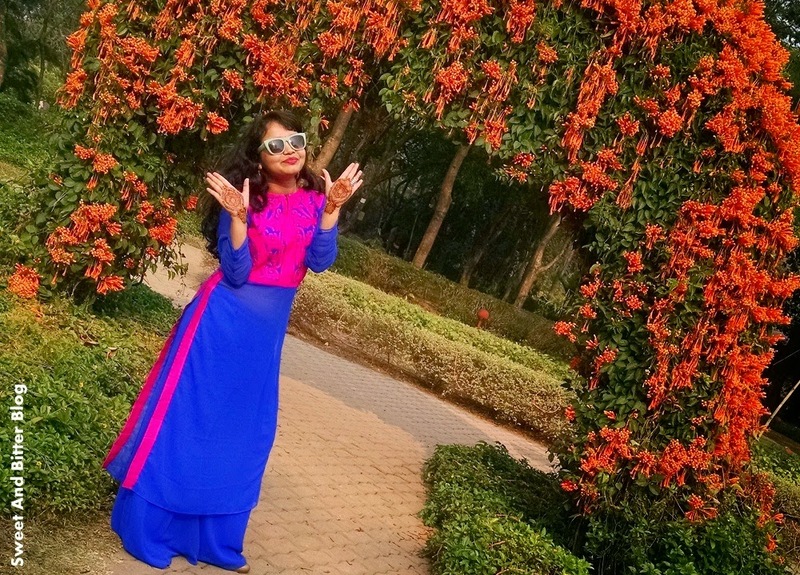 I was out last week for Nikita's wedding which happened at Sinclairs Retreat Dooars at Chalsa. It is beautiful place and perfect for the Bollywood wedding that happened there. I choose to wear simple ethnic wears for the 4 events - Mehandi, Sangeet, Haldi and Wedding. Do you use any anti-aging cream? No? Unless you are less than 20 years, there is no excuse for not using anti-aging creams.Our lifestyles have changes, the stress is high and pollution is more. Our skin faces more issues and hence, need better care and pamper. 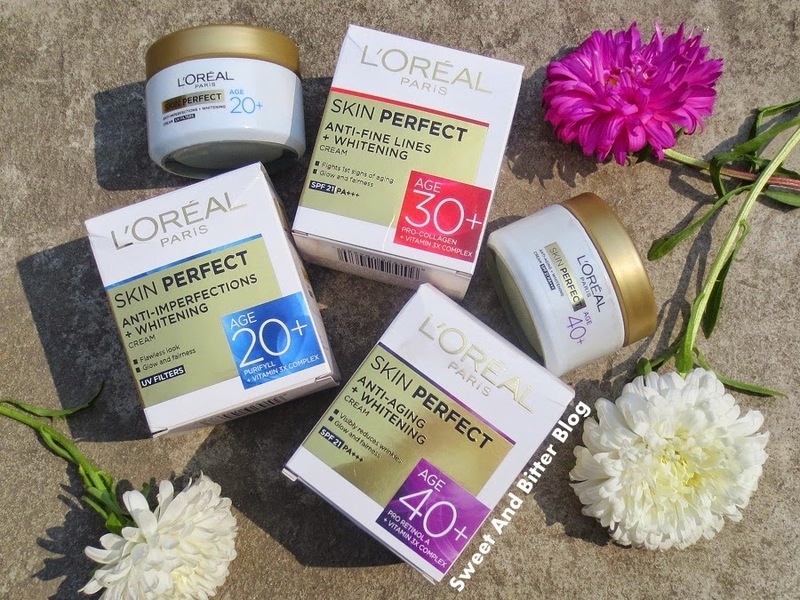 For the first time in Indian market, L'Oréal Paris launched a skin range to target each age group. Also, it is affordable (range starts from Rs 99 onwards). 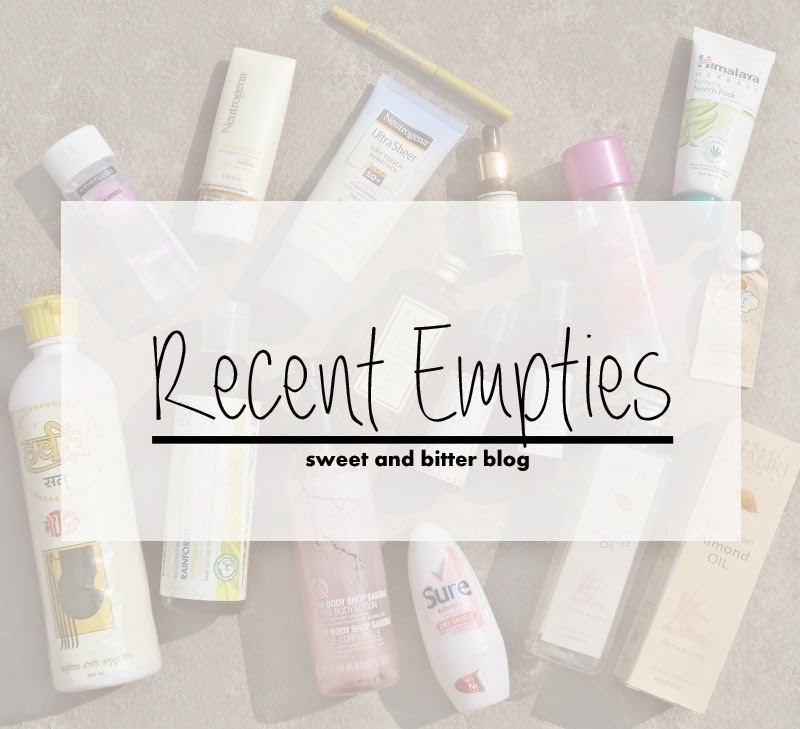 I am doing an empties post after 5 months. FIVE MONTHS. The last one that I did was for products finished in August. Though we are almost in the middle of February, this is only what I could finish till Jan 31st '15. In fact, I clicked these 6 days back but went out of station so, could not post earlier. So, without any delay here is what I finished.